Sri Lanka has been named as a top under-the radar destination for 2016 by the Fox News, a post on the FoxNews website said. “Everyone’s talking about Cuba, Brazil (host of the Summer Olympics) and Rome (for the Pope’s Jubilee Year of Mercy), but there are plenty of places around the world that the masses haven’t discovered yet. Here’s our roundup of the best off-the-radar destinations for 2016. This tropical island in the Indian Ocean, The Sunday Times’ Destination of the Year in 2015, offers sweeping landscapes of lush green countryside, towering waterfalls and golden sand beaches. 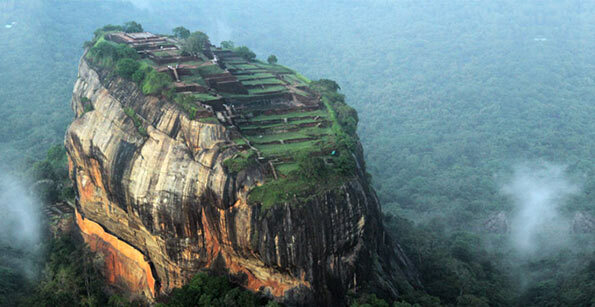 Sri Lanka has several national parks and eight UNESCO World Heritage Sites, including the Temple of the Tooth, which is said to hold Buddha’s tooth. It’s also known for its tea plantations. Many tour companies are offering trips to Sri Lanka this year. We want to get there before everyone else discovers it and it changes,” says Susan Eckert, president and founder of AdventureWomen, whose women-only getaway explores many of the island’s natural and historical sites. The other destinations in the top ten-list are Colombia, Japan, Switzerland, Greenland, Ohio, China, Georgia, Montenegro and Nicaragua. That’s “Fox” news… Do they know how and who brought Srilanka into that status.? And that the country is again fell under wrong hands….